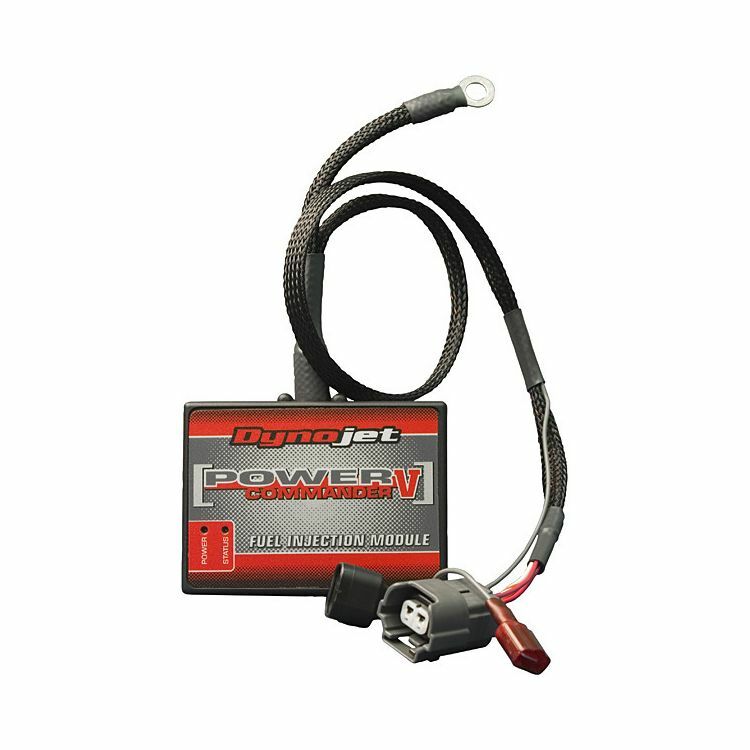 The Dynojet Power Commander 5 is THE fuel controller of choice among both street riders and track enthusiasts. Adjusting your fuel map is highly beneficial for heavily modified motorcycles with aftermarket exhaust systems, engine enhancements and/or race air filters. These modifications will all in some way alter your stock air/fuel ratio. Stock motorcycles can also reap the benefits of a PC5 as all modern motorcycles come out of the factory with very lean fuel maps to meet emission regulations and this compromises power and throttle response. The Dynojet PCV, with its microprocessors and PCV Software, allows you to customize your motorcycle’s fuel map up to +250%/-100% per cell for an optimal setting. Dynojet offers a large database of free, downloadable maps for many combinations of motorcycles and aftermarket parts. Note: Dyno Power Commander V software is only compatible with a Windows PC.